I was never one for using too many skincare products before I became obsessed with beauty. However, there are so many different products on the market to try that I thought I would give one or two alternative products a go. 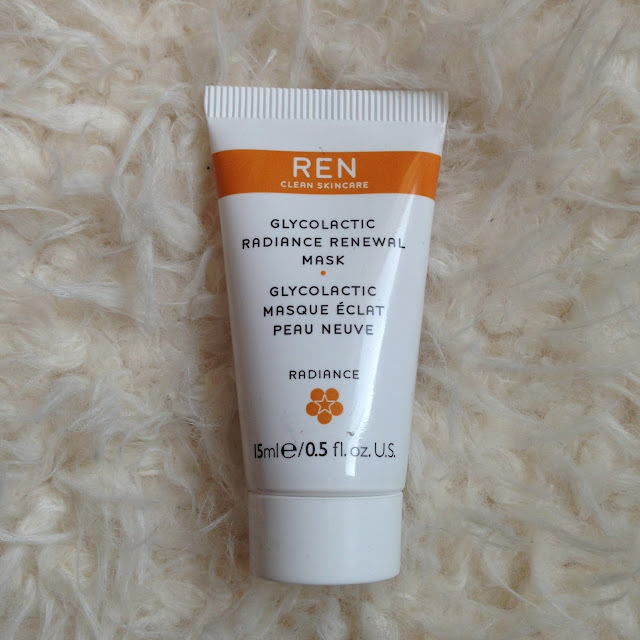 This is why I opted for the REN Glycolactic Radiance Mask. Now and again I have breakouts underneath my skin that change the texture of my cheeks, so I thought this might be amazing to banish those. I got this small 15ml sample size in a set of 4 REN products which you can find at a variety of retailers. But sample sizes are the perfect way to choose which products you love the most before purchasing the larger, pricier versions. The product applies as a thick, sticky gel that can only be spread to a certain extent before needing more product. 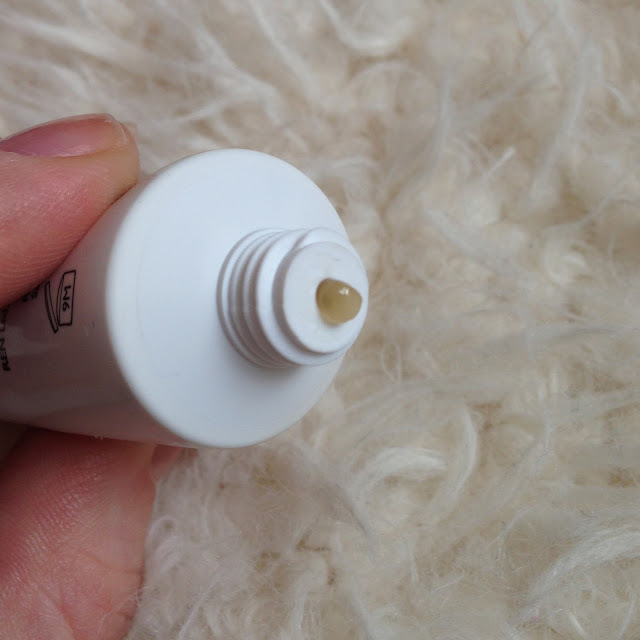 Applying a pea size amount to my fingertips, I apply it over my cheeks and face avoiding the eye area. I then apply another small amount to my forehead and down my nose until my face is covered. I also run a small amount down my neck and then leave it for 10 minutes. There is only a very small tingling sensation but that is only if you are waiting for it. Otherwise I dont think you would really notice it. It also makes your skin feel as though it is tightening slightly. The smell reminds me slightly of oranges and vitamin C but its also reminiscent of Elizabeth Ardens Fragrance Free Eight hour cream. Almost like a mixture of petroleum jelly with oranges. Not the greatest, but then again not the worst. After it has been washed off with a warm cloth, the skin does feel extremely smooth and almost squeaky clean. The blemishes or spots underneath my skin seem to feel higher and more prominent, almost like they are making there way out and therefore away. It is almost like the mask takes away the top layer of dead skin to leave a fresh, smooth surface, delightful. Using this mask once a week might be something I do often from now on. I am really impressed with the results and if it means my under skin blemishes make their way out faster, this might be a product worthy of purchasing full size. Ill keep you updated but at the moment I’m actually really pleased with the results. What do you think of this product? Are there any similar that you could recommend to me?